We offer UP FRONT PRICING! So the price we say is always the price you pay! We offer a complete line of top quality bathroom fixtures and plumbing supplies, including acrylic tub and shower units. We offer all the steps required including custom design and construction. We also offer a 100% customer satisfaction guarantee. I recently hired Durham Plumbing Services Inc. to complete work for a basement washroom. This required breaking of the concrete floor, placement of drains and vents, and installation of hot and cold water lines for a shower, vanity, and toilet. This work was completed over 3 days and I was very impressed with David and his staff. Key points from my perspective include;• Timeliness – work was started at the promised time & date and completed on schedule• Cleanliness – drop cloths were provided where required, plastic sheets were hung, and the work area was cleaned upon completion• Quality of work – components were installed in a professional manner e.g. pipe runs were placed such that interference with future framing was minimized• Flexibility & Openness – input on placement of components was readily accepted, all questions answered, and opportunities for taking pictures were provided. This was all done in a very open manner.• Value – Durham Plumbing Service’s price beat the competition. Furthermore, David provided valuable input on some non-plumbing aspects of finishing my basement which I will be using. I have recommended them to my brother and would hire them again. David and his staff were a pleasure to work with. 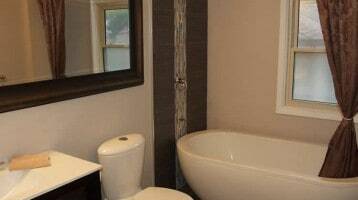 Awesome work....timely, clean, efficient, polite....absolute pleasure to have in my home....will definitely have back for quote on bathroom and have already recommended....thank you Dave. Went on a limb and hired this company based on very positive reviews I read on "Home Stars" about Dave and his colleagues. I was nervous as we usually ensure we have a personal recommendation before booking a contractor but went out on a limb. I am so GLAD WE DID. Excellent company, arrived on time, courtesy for the home, (shoe coverings, mats down to protect floor. Very honest moral person, felt a great sense of personal integrity in the work being done, coupled with a very kind positive manner. Something you don't see very often these days. Absolutely recommend this company, and their work.